After working for an electronics recycling center for over 6 months, I am pretty familiar with the basics of sixbit. I don't have experience with uploading items or managing profiles as those features are restricted for my manager's use. Overall, I do like it as it is much easier than uploading each individual item to eBay. It did take a while to get used to the controls/buttons. One thing I will point out is that when the program is restarted, the layout changes to the default, even under a saved profile, and it takes a few clicks to get it back.I like how easy it is to utilize templates when listing multiple items to eBay. It takes a lot of the legwork out, especially when listing hundreds of items per month. No more listing errors. No more information errors. No account suspensions. Just let your employees go and list everything they can! Review, edit, and publish listings in real time as there finished. Building templates for frequently listed items saves a ton of time. Simple to use. Great software overall.I love that i can have all my 6+ employees create listings all day without worries. Every listing created in this software can be reviewed by myself before posting to Ebay. Templates are great time saver for listing similar items. Many times it will not list all variations Installing updates invariably creates more bugs Revisions have to be sent multiple times to get them to post Reports error messages when there are no errors Customer support is horrible I have been using the software for nearly a year and I am having some of the same errors that I reported during the first month. I open a ticket, they say they don't see any problem and close the ticket. You can't call them unless you are willing to pay additional to talk to someone. My advice is to use something else that is more reliable. I haven't found what that is yet but don't use SixBit. Below are some frequently asked questions for SixBit Software. Q. What type of pricing plans does SixBit Software offer? Q. Who are the typical users of SixBit Software? Q. What languages does SixBit Software support? Q. Does SixBit Software support mobile devices? Q. Does SixBit Software offer an API? No, SixBit Software does not have an API available. Q. What other apps does SixBit Software integrate with? Q. What level of support does SixBit Software offer? Q. 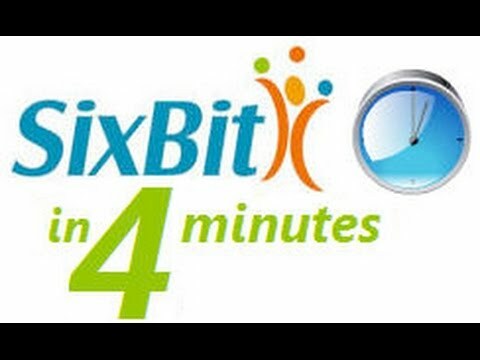 Which apps is SixBit Software compared to most often?